Sports Awards come in many forms these days. Resin trophies offer amazing detail and affordability, whilst traditional timber and gold figurines are still popular amongst the purists. From Medals to Plaques, Cups and Trophies, Glass and Acrylic, there are many awards to choose from to reward your sporting stars and their achievements. 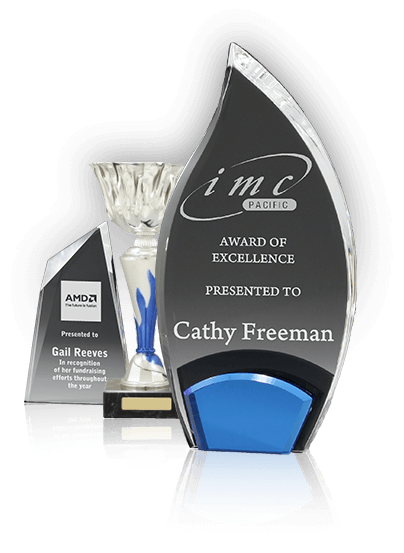 Personalisation of all types of awards with your logos and text. 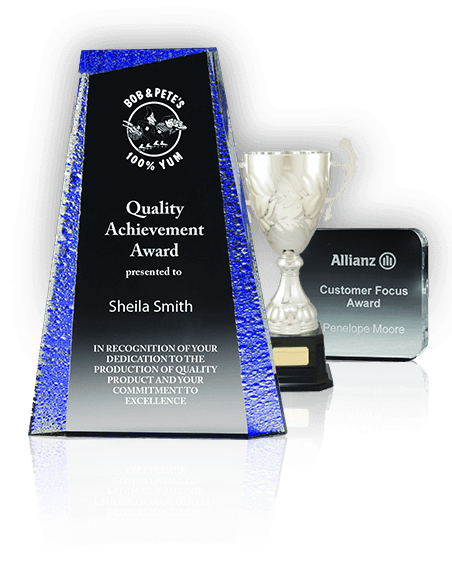 Laser and Rotary engraving of medals, Trophies, plaques etc Glass Engraving (Including sand blasting), Laser Engraving of Acrylic pieces, Sublimation of Metal plates and Acrylic. Click on the Catalogues links below to check out all the various sports and awards.